We’ve written previously about the internet’s obsession with slapping Nicolas Cage’s face onto every movie and TV show, and, well, here we go again. YouTuber derpfakes just put out another “NicolasCage Mega Mix” that includes one particularly mind-bending clip. At the 35-second mark, we’re offered a short-circuiting glimpse into a universe where the cast of Friends is actually made up of six distinct Nicolas Cages. See it below. But, soon after the video was posted, viewers noticed something odd. Though Courtney Cox and Matthew Perry’s faces blur and resist the Cage—as nature no doubt intended—David Schwimmer’s dopey mug doesn’t seem to change, well, at all. For Cage-heads out there, this is kind of the singularity. 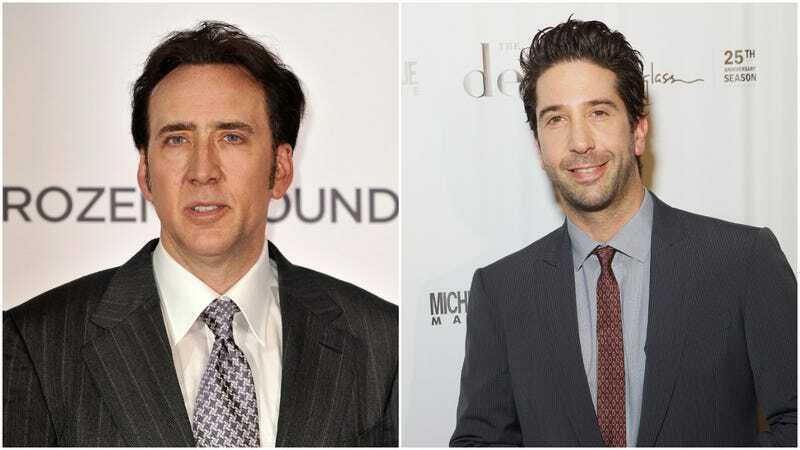 And it didn’t take long before people began swapping Schwimmer’s face onto Cage’s body, reveling in the uncanny mud pit they’d dug for themselves. As amusing as this is, it feels prudent on our part to remind you that deep fake technology is scary stuff and will likely guide us towards a dystopian nightmare future fueled by complex misinformation campaigns. For now, at least, let us all enjoy something that is very, very funny.